For 12 years prior to becoming a realtor I had been a passionate business professional in the financial industry, helping to grow Watermark Wealth Strategies with my husband Kyle, CFP ®. With great growth came great employees, and the ability to find my own passion, and to strive to accomplish some new goals for myself. The role of client relationship specialist has always been one that I have cherished, and this is just a new way of building and sustaining client relationships through hard work and dedication. Supporting clients through one of the most important and emotional investment decisions of their lives is the reason I decided to become a real estate agent. I am excited to be on the Leading Luxury Experts team who share the goal of long term client relationships, and have a long-standing reputation for excellent service and results. "Amy was fantastic! She walked us through each step along the way and made us feel comfortable about our decisions and the process. First, she found the perfect buyer for the home we were selling, at the price we needed, and it sold within a couple weeks from our official listing. Then, she found the perfect house for us to purchase (a very time-consuming process). She then lead us through a flawless closing and made sure all things were ready in the house for our move-in. Based on our great experience I highly recommend Amy for all your real estate needs!" 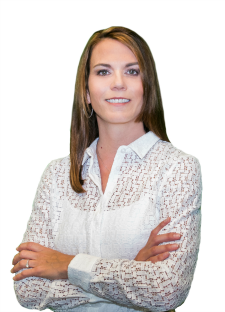 "Amy was so professional and helpful during the entire home buying experience. Being a first time home buyer, I had many questions about the process that she was able to thoroughly answer. She was always easy to get ahold of whether it was a quick text, a phone call or a brief meeting to go over questions/documents. Amy made my first home buying experience a breeze and I would highly recommend her to anyone!" Amy was my agent for a first-time-buyer situation which also had me moving to a new state. As one might imagine, the process of buying a house for the first time while managing an out of state move required finding the right agent to ensure success. After discussing my situation and lengthy list of requirements with Amy it was apparent her attention to detail, clear communication, availability and comprehension of my specific requirements were clearly understood; I knew I had found the right resource. Amy's tenacity and proactive nature, keeping my requirements in mind throughout, is what allowed me to navigate the "hot sellers" market and ultimately select, offer and close on a property which fit all the requirements and came in under my budget. In an effort to keep this review semi-brief, I will not detail the various times Amy went above and beyond for me---which was especially helpful given the remote nature of my purchase---however I can say that without a doubt her efforts and dedication to my transaction is what allowed me to stay on schedule, keep under budget and end up in a home I love as much as the day I first viewed it. I would not hesitate passing Amy's contact info along with a recommendation should I run into anyone in need of Real Estate services in the future. Should I find a need to make a change in the future, Amy will be the first call I make. We are very thankful that Amy Richardson represented us in the purchase of our house. Amy is very organized, helpful, and she responded to all our questions in a timely manner. She made sure that all paperwork was done completely and correctly. Her friendly manner and her knowledge as a realtor made us feel at ease about the process of buying a home. I highly recommend Amy to anyone buying or selling a home.